A highly experienced engineering team was drawn together, having formerly worked in central R&D functions of Ericsson, Marconi, GPT, GEC and Plessey. This gives us a rich heritage in optical telecommunications and embedded control, as well as general engineering and systems expertise. This capability has since enabled us to develop a complete new range of energy management and building control products (initially named “TeroLight”, now known as “GEM”). We also offer contract design and consultancy services in optical communications and embedded control. Mike has held many senior Engineering Management roles in major telecoms companies, having started his career in optical systems over thirty-five years ago with Plessey, and has frequently been at the forefront in the commercial development of new, formerly unproven, technology and techniques. With a Masters degree in Telecommunications and three patents on optical system design to his name, Mike has wide experience of optical networking and of leading large multi-disciplinary teams to bring complex product developments to a successful conclusion. Find Mike on LinkedIn here. Paul graduated from Cambridge University with 1st Class Honours, and began work at GEC-Plessey Telecommunications in 1989. Since then, he has played a key technical role, frequently as team-leader, in the design and development of many advanced products, including several world firsts within Marconi’s ground-breaking optical transmission product range. Holder of five patents in optical technology, Paul bridges the gap between industrial development and academic research, whilst retaining a strong emphasis on practical, commercial engineering solutions. Find Paul on LinkedIn here. Originally a digital hardware design engineer, Dave is now a PRINCE2® qualified and technically proficient manager with many years’ experience of leading teams of up to 50 engineers, both in product development and in test/verification functions. His thorough approach, coupled with extensive experience of engineering and manufacturing environments, ensures that TerOpta’s products are well constructed and robustly tested to the applicable international standards. Find Dave on LinkedIn here. Mike is a skilled digital designer and team leader, with extensive experience in producing large complex designs for programmable devices, whether ASIC, FPGA or System-on-Chip. He is highly conversant with VHDL and Verilog programming languages, able to conceive, specify and create large DSP structures, high-speed and highly parallel designs. In addition to his technical skills, Mike is a capable team leader, able to coordinate and provide expertise for development groups, whether inter-organisation or international in nature. Find Mike on LinkedIn here. 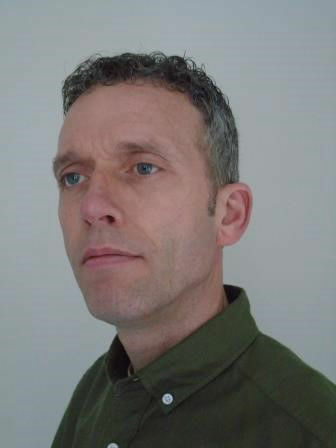 Richard has over 50 years’ experience in digital and optical transmission. He has held a wide range of technical and senior management positions in research, engineering development, system and network design, technical consultancy, international standards, product strategy and the technical management of major contracts. He has a Masters degree in Physics from Cambridge University, a post-graduate business diploma from Coventry University and has generated over 20 patents. Find Richard on LinkedIn here. © TerOpta Ltd 2019. All rights reserved. Registered in England and Wales No. 7345158. Registered Office: 108 Balmoral Drive, Bramcote Hills, Nottingham, NG9 3FT, United Kingdom.